How do I know what Soccer club? The BSA U13 Boys dominated the recent Rutgers Soccer Camp! Congratulations to all! 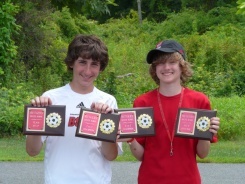 Josh and Eric show off their awards!